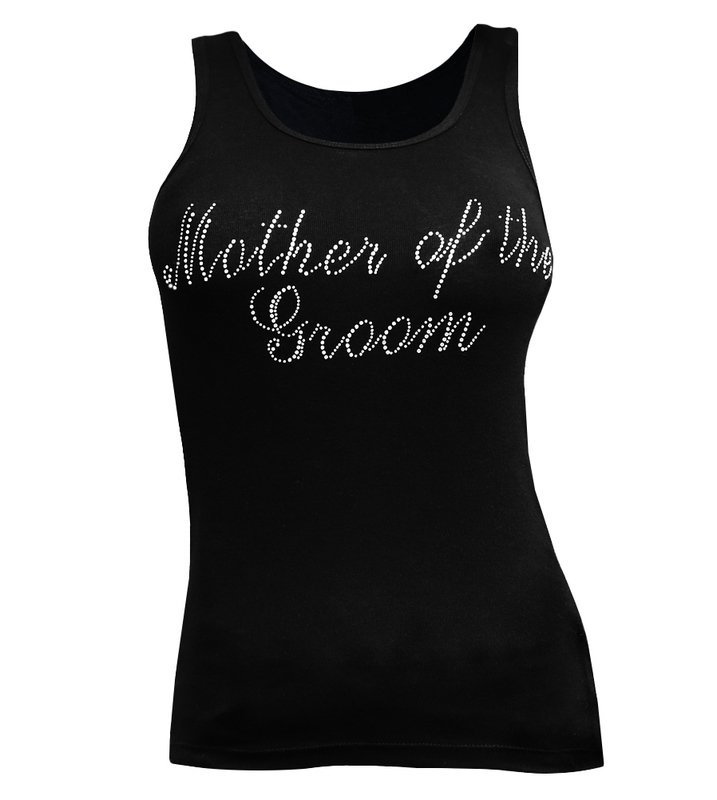 Beautiful design of Mother of the Groom Rhinestones Wedding Tank Top. You can wear this fun wedding tank top during the bridal shower, bachelorette party or rehearsal dinner. Our durable, high-quality, pre-shrunk 100% cotton Tank Top is what to wear when you want to go comfortably casual.